A new trend is on the horizon for automotive production; the rise of the electric vehicle. 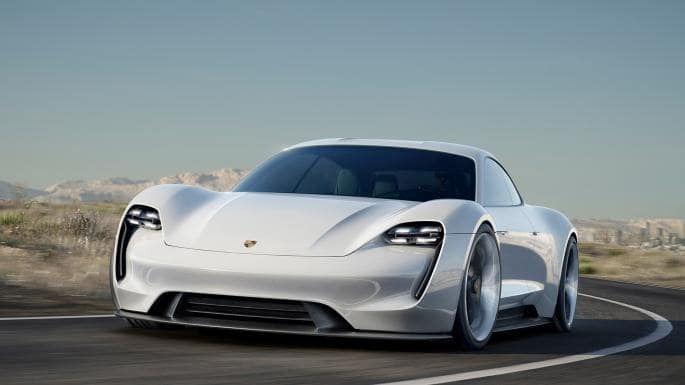 And for Porsche, that is nothing less than a challenge to create an all-electric vehicle that meets standards for Porsche performance and quality. Introducing, the Taycan, formerly known as the Mission E concept. The brand new Porsche Taycan, with the name translating to ‘lively young horse,’ and prounced ‘Tie-Kahn,’ is looking forward to a release in late 2019. 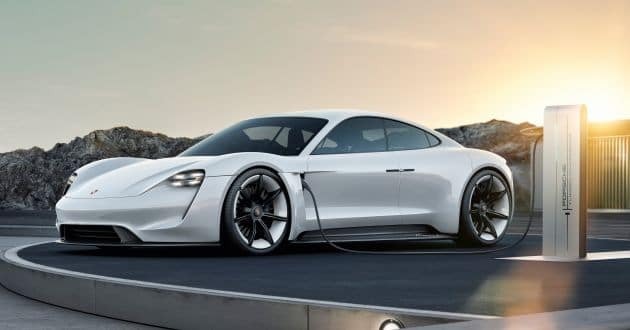 With many of the automotive manufacturers out there looking to include electric vehicles in their lineup as primary models for the regular household, instead of vehicles for a niche market, the Porsche Taycan will be a strong competitor moving forward. Although not many details are known or solidified as of this time, there are a few details on performance and such we can share! First, the Taycan will boast a 0-62 mile-per-hour time of 3.5 seconds, with a top speed maxing out above 155 miles-per-hour! A full charge will be able to take driver 310 miles, with a charge time of just 20 minutes for 250 miles worth of juice. All of this, wrapped up neatly in a beautifully styled body, and a price tag of roughly $85,000! 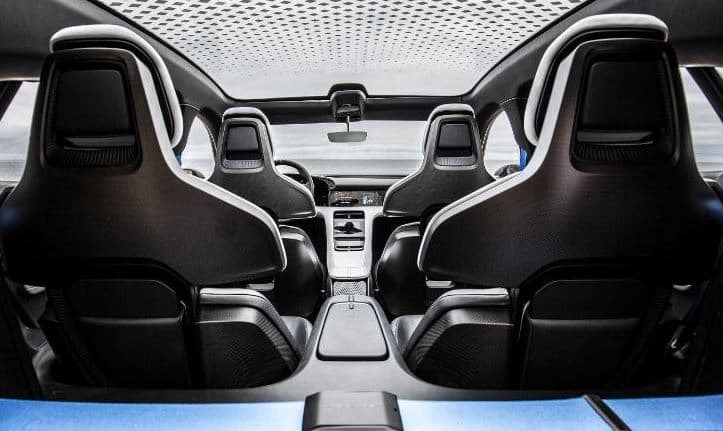 The current design for the interior shows a dual touch screen system, mimicking the modern design of the Porsche Panamera, minus the shifter, as without an engine or need for a gearbox, there is no need for the shifter! Sleek and luxurious, the gauges are digital as well, with controls on the steering wheel for drivers ease of access. 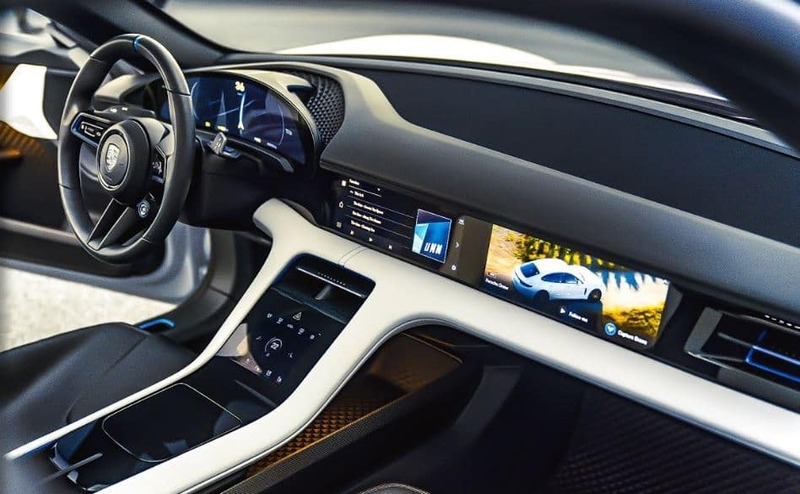 The infotainment system allows for full controls of everything from music and climate, to control of the exterior noise made by the Taycan to warn pedestrians of the vehicle at lower speeds, due to the lack of noise actually made by the Taycan’s electric motor! Here at Porsche Wichita, we’re excited to announce that we already have 12 pre-orders taken for the new Taycan! 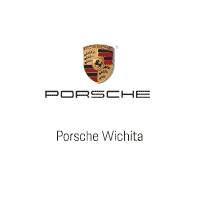 But it’s not just Wichita that’s joining in the excitement for this new vehicle coming late 2019; Porsche across the U.S., Europe, and Asia are seeing an influx of pre-orders before the final production model has even been revealed. Porsche as a group is as excited as the consumers for this new direction, and we hope you are too!